Questis has been selected as one of three companies from Charleston to compete in the startup PITCH competition at Collision Conference in New Orleans. Questis, a Charleston, SC based Financial Wellness company, has been selected to be one of the startups pitching at the upcoming Collision Conference taking place in New Orleans April 26th - 28th. Eight cities across America with strong startup cultures outside of Silicon Valley were each given the chance to send three startups to the competition. The finalists of the PITCH competition go on the main stage in front of over 10,000 attendees to pitch their company. Questis has been selected by the Harbor Entrepreneur Center as one of Charleston, SC's three startups along with Vaga and Harborgood. "This is not just a huge opportunity for Questis to get in front of a massive number of potential partners, investors, customers, and journalists", said Steve Wilbourne, CEO of Questis, "but also an opportunity for Charleston to show that companies started here can compete on the national level." The collision conference, which coincides with the New Orleans Jazz Fest, attracts a diverse and accomplished group of attendees who range from entrepreneurs to investors and artists. 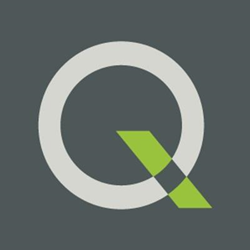 Questis will present their Financial Wellness Platform, accomplishments, and traction to prove that they should be selected as the Best Startup at Collision. Questis--which provides a holistic Financial Wellness benefit to their client companies--creates positive financial habits and outcomes for American workers. Questis provides Financial HR, easing the burden of Human Resource professionals while strengthening the finances of their workers. Blending personalized advice and education with leading-edge technology, Questis focuses on personal coaching to help employees handle their money. Learn more about Financial Wellness.